I’ve given you the lowdown on how to write the perfect tweet but now let’s give you some inspiration from some of the best well-known brands that are killing it on Twitter. I’ve long admired Innocent Drinks for their lovable branding on all social media platforms. Instead of using their platforms to just promote their smoothies and drinks, they use them to outline their fun, silly, clever and creative brand personality. This approach to Twitter makes them stand out from the crowd. People really connect with their brand because they talk like human beings, without jargon. 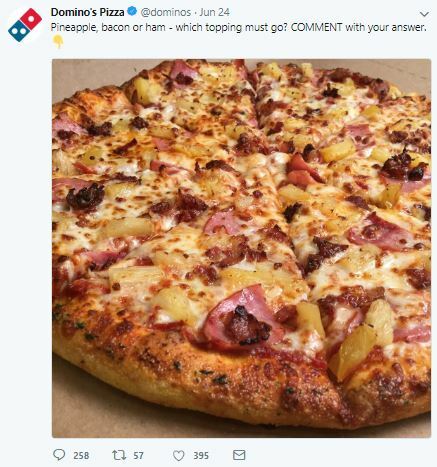 If there’s one thing to make you give in to your pizza cravings, it’s definitely by checking out Dominos’ Twitter page. Although their posts mainly consist of pictures of their pizzas and not much else, their captions make up for this, using lots of humour and questions to create discussion and engagement. 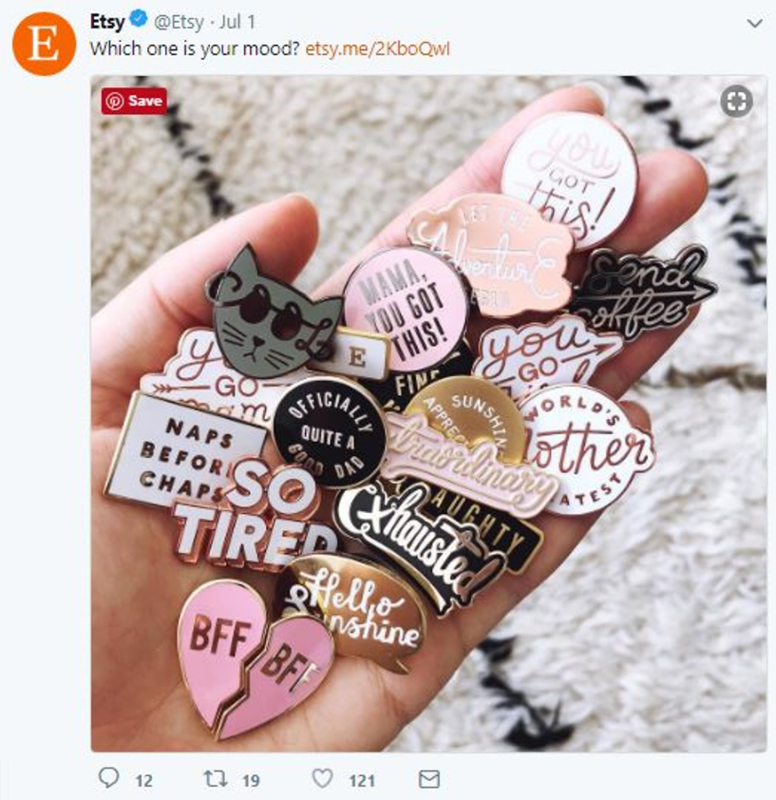 It was only recently that I came across the Twitter account for Etsy, and it’s definitely worth a follow. They use bright, colourful photos of their products and mix up the types of products they tweet about. I admit I don’t drink coffee – but Starbucks own it on Twitter! They do a fantastic job of showcasing their followers by quoting their Tweets, retweeting them and interacting. Starbucks definitely understand the importance of engaging on Twitter. They also use a great amount of imagery and hashtags. 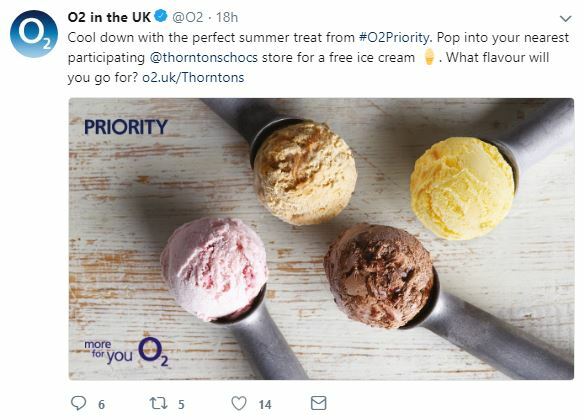 O2 are a company which work with a lot of other brands. This is always promoted on their Twitter feed, like the example shown below. They always tag in the brand they’re working with – a way of getting extra promotion if that brand were to engage back. 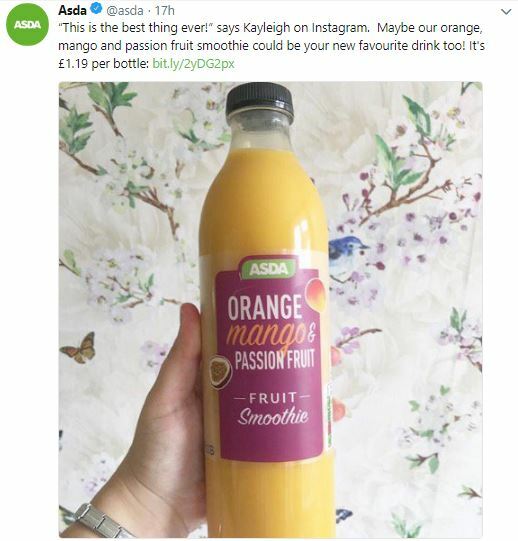 Asda are another brand which are great with engagement on Twitter. They often repost and share other people’s posts which involve the use of their products. Engaging content is currently so popular and shareable. Their Twitter feed is filled with colourful and bright images, and they give a variety of different types of posts. Although KFC has a great Twitter feed, this isn’t exactly why they’re on our list. In 2017, Twitter user @edgette22 discovered that KFC follow nobody except six men called “Herb” and all five Spice Girls – a nod to the fast-food chain’s secret recipe blend of 11 herbs and spices. As we know these brands have a high following so it’s easier for them to get engagement. But I think it’s still interesting to look at these pages to see what they are doing well for some inspiration. Hopefully you will now have some guidance and inspiration on creating your own Twitter posts.